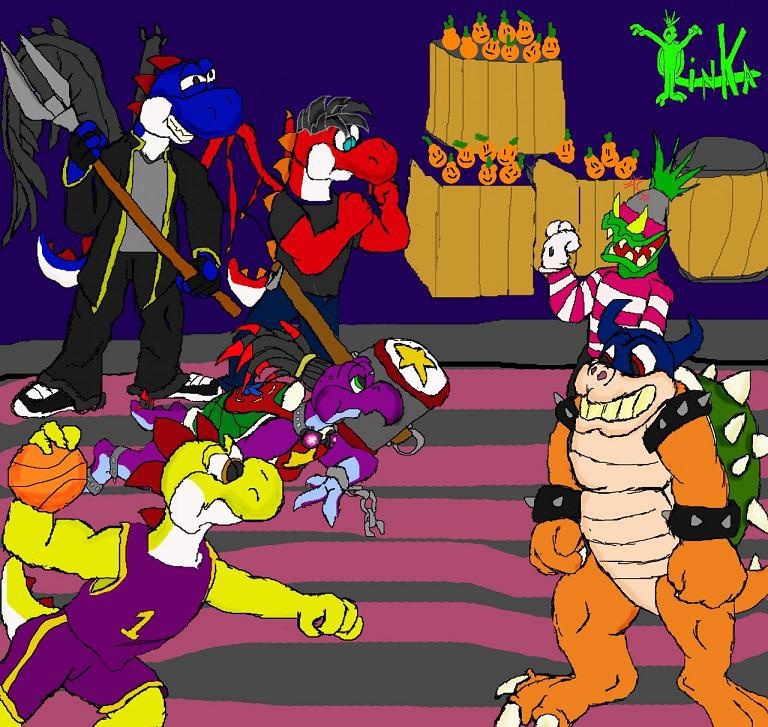 Piccie based on Mario & Luigi Super Star Saga Battle. The characters on the left belong to toshi21, yoshemo, toninjinka, and myself. Drawn and colored by toninjinka.